We’ve got them for collectors and archivists, kitchen staff and caretakers. They’re here in stock for doctors and nurses, scientists and investigators. They’re used by mechanics, care workers, shop assistants and teachers. And if you’re none of the above but you still need gloves to do your job or carry out your chores, we’ve got them for you too. Which gloves should you choose? Well that depends. If you’re looking for a really inexpensive hand covering that doesn’t need to be an exact fit, but does need to offer dexterity and protection, you’ll find our thin polythene gloves offer superb value. 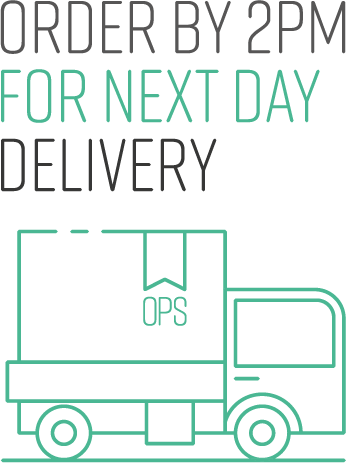 They can be used on either hand and are supplied in a box of 100, which means there are plenty to go around or to store in the stock cupboard for future use. With welded seams, you can keep your hands dry and clean, knowing there won’t be any unhelpful leaking through the fingers. They’re powder-free and can be put on and taken off quickly and easily. One size suits all. 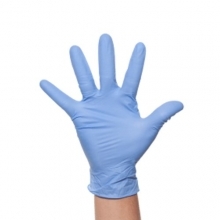 Another very versatile glove that we supply is the non-sterile blue vinyl glove – powdered for greater ease in taking them off and putting them on. These have countless uses and are available in small, medium or large sizes. Non sterile gloves are used in a very wide range of commercial, caring and domestic situations. As they are less expensive than sterile gloves, wherever possible they are regularly used even in healthcare situations. Protective gloves designed for all purpose, non-sterile use around the home and workplace. Four sizes available. Read the full product description.